In the event of severe weather or road conditions, or in the event of building power outages or other building issues, Imagine Madison Avenue School of Arts may close. This information will be made available as early in the morning as possible to local television affiliates (NBC, ABC, CBS and FOX) on Channels 11, 13, 24, and 36. We will closely follow Toledo Public Schools when deciding to close for severe weather. We recommend using the news media as your primary source of information for school closings. 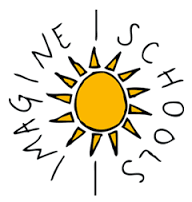 For cancellations, we will be listed as Imagine Madison School of Arts.